A study laying out evidence of psychic precognition is catching lots of heat from critics, even before its publication in a peer-reviewed journal. We first told you about the study back in November: Daryl Bem, a psychology professor emeritus at Cornell University, summed up nine experiments he has conducted over the years into precognition — the idea that human behavior at a given moment can be influenced by information they're given at a later time. Bem's long-running experiments suggested that there was indeed a slight influence. Even in November, his 61-page paper was causing a stir because it was peer-reviewed and accepted for publication in the Journal of Personality and Social Psychology. Now that the publication date is nearing, the outcry from other researchers is rising. A report in today's New York Times says Bem's paper is "expected to prompt outrage." The University of Oregon's Ray Hyman, another emeritus professor of psychology who created a program called "The Skeptic's Toolbox" to teach critical thinking about paranormal reports, told the Times that "it's craziness, pure craziness." 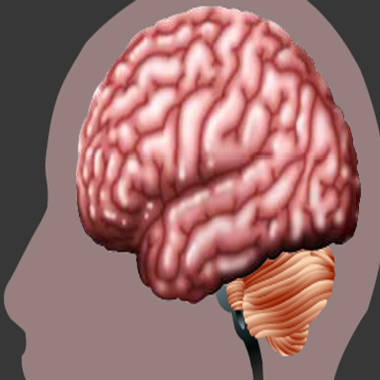 Click through an interactive guide to your brain's inner workings. "I can't believe a major journal is allowing this work in," Hyman was quoted as saying. "I think it's just an embarrassment for the entire field." Eric-Jan Wagenmakers, a psychologist at the University of Amsterdam, told the Times that Bem's research "should undergo more scrutiny before it is allowed to enter the field." Wagenmakers is a co-author of a rebuttal to the paper which is due to appear in the same issue of the journal. The critics cite the same rule of skepticism promulgated by the late astronomer Carl Sagan: "Extraordinary claims require extraordinary evidence." These folks say Bem's experiments may have yielded seeming evidence of psychic phenomena, or psi for short, but it's not extraordinary enough to meet the bar. They say it's just not statistically significant enough to allow for the conclusion that psychic powers exist. What's more, other scientists have had a hard time replicating Bem's results, as Scientific American's Michael Shermer noted in 2003. The journal's editors and reviewers were skeptical as well, but said they decided to go ahead with publication after looking closely at the data. ABC News' Ned Potter quoted this passage from an editorial due to be published in the journal: "We openly admit that the reported findings conflict with our own beliefs about causality and that we find them extremely puzzling. Yet, as editors we were guided by the conviction that this paper — as strange as the findings may be — should be evaluated just as any other manuscript on the basis of rigorous peer review." Will the psi really hit the fan when Bem's study finally appears in print? Or will it make a splash ... and then fade away inconclusively? What do you think? If you have some precognition about the outcome, share it as a comment below. Connect with the Cosmic Log community by "liking" the log's Facebook page or following @b0yle on Twitter. You can also check out "The Case for Pluto," my book about the controversial dwarf planet and the search for new worlds.